As of right now, James Gunn is persona non grata within Disney. That could all change, though. While Guardians of the Galaxy 3’s future is still very much up in the air – and may not even include one of its stars in Dave Bautista’s Drax – there has been some talk about Gunn returning to the MCU fold, but to direct a new Phase 4 movie. 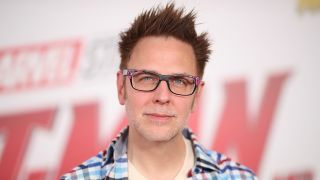 THR is reporting that a pair of sources close to the situation remain hopeful of Gunn, who was fired after several controversial tweets re-surfaced, coming back to Marvel under a different guise, even if that means directing or producing a movie away from Guardians of the Galaxy. The main takeaway from this is that Disney hasn’t closed the door on Gunn just yet. One source explains that, “An end-all verdict hasn’t been issued and conversations with Marvel are still ongoing,” which sounds promising for anyone wishing to see the director return. So, what could that all mean? For one thing, Gunn has made a name for himself solely within the cosmic confines of the MCU. Should Marvel want to go further in that spacefaring direction for Phase 4, they have a man ready, willing, and able – should the distance of both time and being away from a possibly toxic partnership with his baby of a franchise in the Guardians of the Galaxy – to step into the breach if required. Time, as we all know, is a healer. This tidbit of news is offering our biggest glimpse yet at Disney not wanting to square away James Gunn entirely, even if we’re entering a Gunn-less Guardians future - which can only be good news for everybody involved.